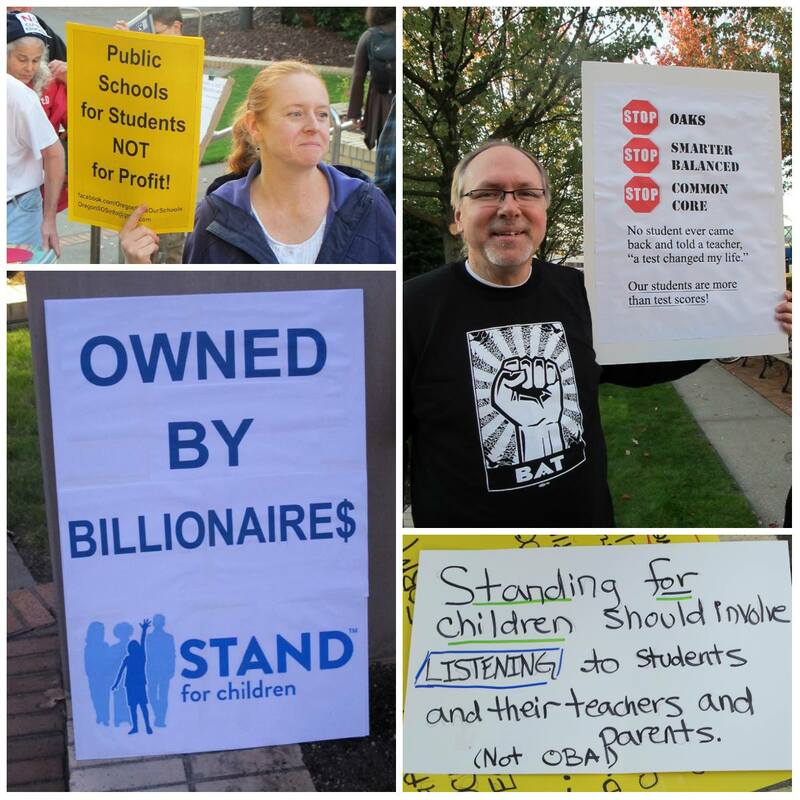 Oregon Save Our Schools was largely founded by many former Stand for Children activists and leaders who were increasingly disturbed by Stand for Children being directed not by research and sound educational practices, but by a corporate agenda and funding from Bill Gates and Walmart, among others. Yet, despite its lack of education expertise, Stand for Children continues to elbow into education discussions and pretending it is a grassroots organization, simply because many of its members have not yet discovered Stand stopped being a grassroots group back in 2009 or 2010. For instance, this week Stand had a presence in this program on OPB about opting-out. Not surprisingly, Stand for Children’s opinion was that it, not parents and students, know what’s best for parents and students. That stance is not only obnoxious, it is harmful. High-stakes testing is unsound. It does not make schools better. It narrows school curriculum and hurts high-poverty schools. But note on the OPB program, Stand for Children has no testing expertise. The testing expert makes essential, research-based points and runs circles around Stand for Children’s talking points. If you are a Stand for Children member, consider stopping your donations and encourage your friends to do the same. Your contributions won’t come close to matching their corporate funding anyway, and the fewer people they can claim as “grassroots members”, the better. Stand for Children started in Oregon. For many of us at Oregon Save Our Schools, the instinct to apologize to the rest of the country runs strong.